“In terms of prize money, the Melbourne Cup is worth more than the Grand National or any race in America, and it is far more popular in terms of national identity.” — Richard Waterhouse, ABC Radio, Nov 3, 2015. 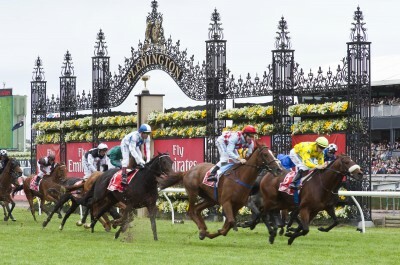 As Professor Emeritus Richard Waterhouse explained to ABC Radio last year, horseracing was English in inspiration, the “cultural baggage” that kept the colonists busy in entertainment and distraction. Wealthy colonists eventually got serious about thoroughbred racing, which ranks as the third most patronised sport in Australia.